It's easy to grow crocus in lawns or gardens and watch them spread. This is an easy bulb to grow and the flowers will delight you every spring. Type of Plant: Early spring flowering bulb, good for planting in gardens or lawns. Why I Love/Hate this plant: I love crocus because they are so early. My ‘Remembrance’ crocus help me to remember that the season for growth and flowers is truly upon us, no matter what the March and April weather is doing. I love how this bulb spreads and forms lovely clumps in the lawn. 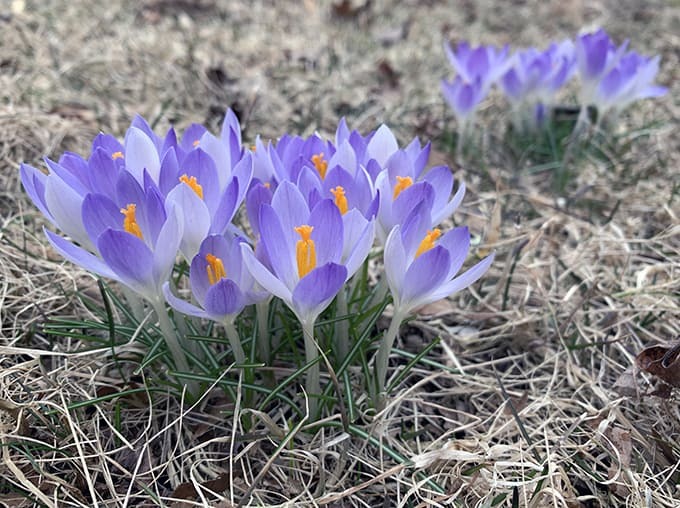 A Word to the Wise: If you want crocus to naturalize in your lawn, be sure not to mow your grass too low early in the spring. You’ll want to allow the foliage to build up strength in the bulbs so they spread, and to do that the leaves need to be three or four inches long. 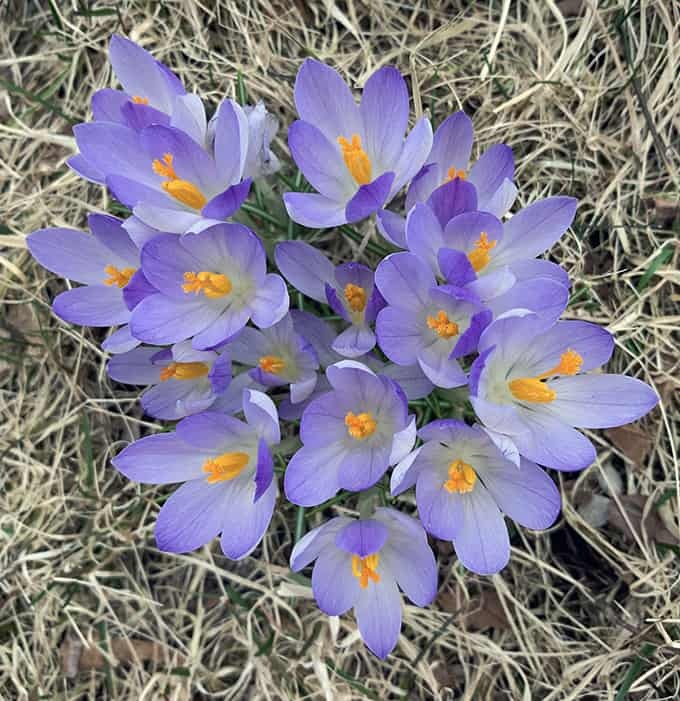 You will also want to avoid spreading broadleaf weed killers on your turf because these can kill off the crocus plants. 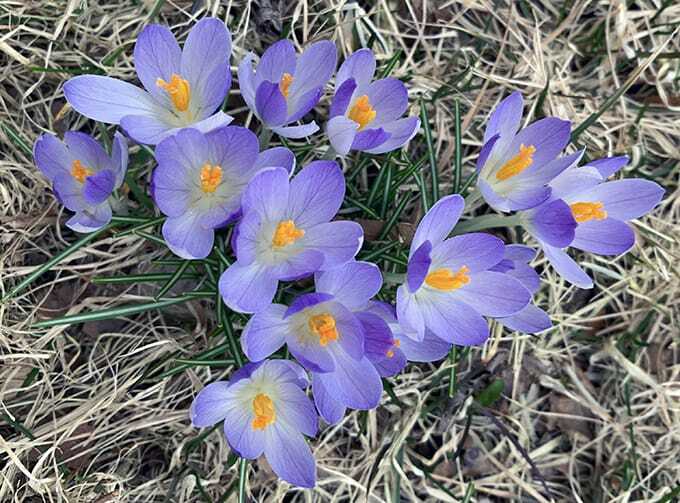 Crocus will tolerate heavy soils but not areas that flood during the winter. Crocus offer early pollen sources for bees, and they make people smile. That’s reason enough to plant them. This group started as one tiny bulb and flower about 7 years ago. Every year the clumps grow larger in my lawn.